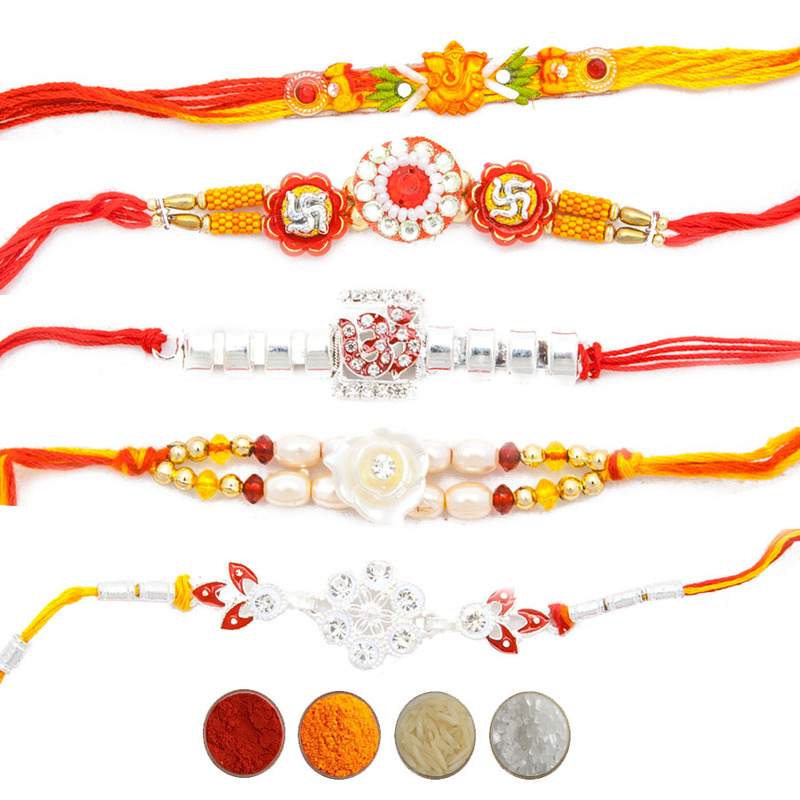 Rakhi is an auspicious festival celebrated mainly by brothers and sisters. 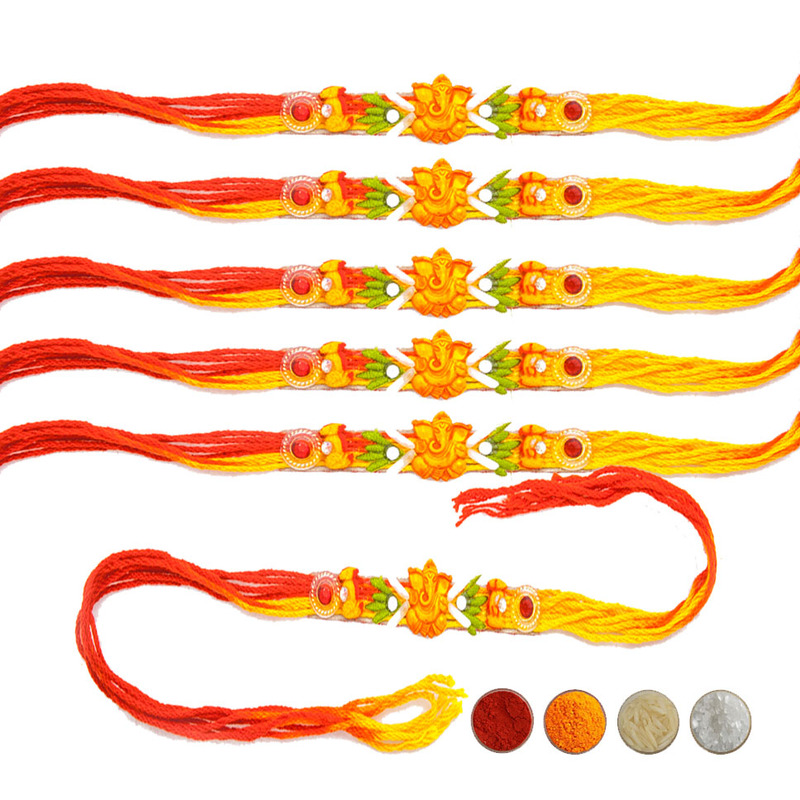 On this festival a sister ties rakhi on the wrist of her brother or send rakhi to her brother to bring auspiciousness in the life of her brother. 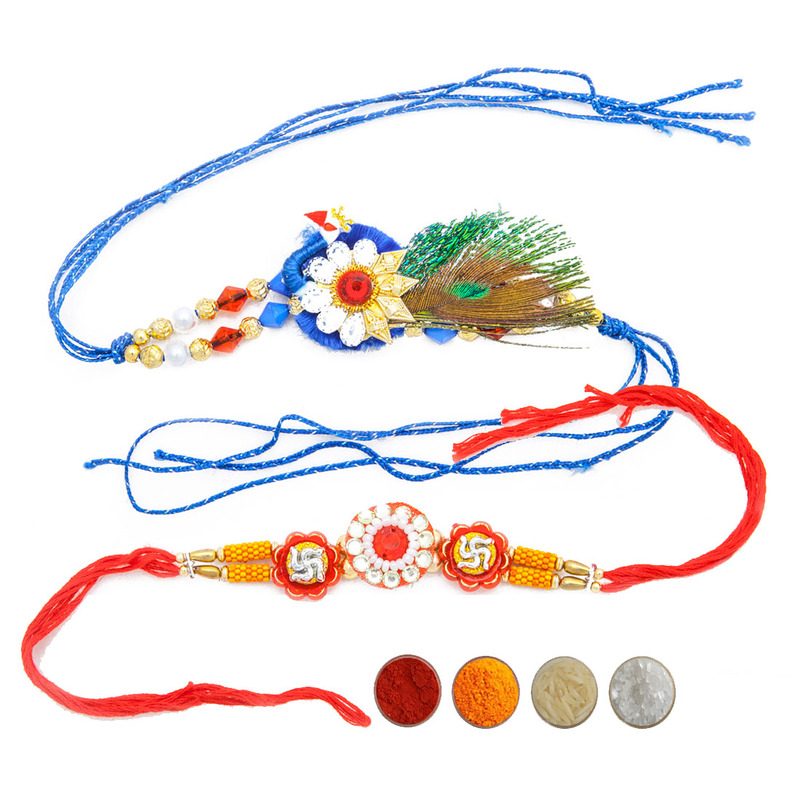 If you are looking for auspicious Rakhi set then this would be a perfect option. 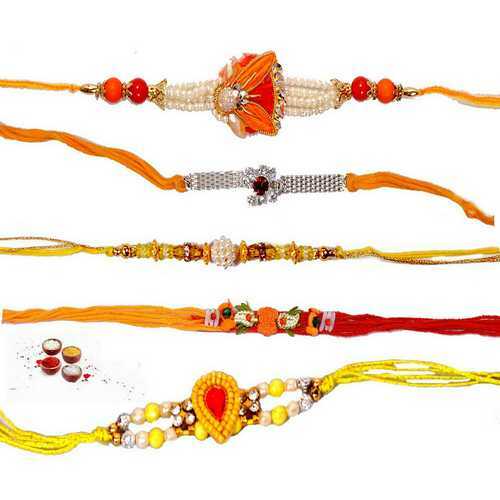 This set consists of 5 auspicious rakhis artfully crafted and designed with shimmering pearls, elegant zardosi work, silver chain, kundan, attractive beads, american diamonds, premium stones, etc in very attractive rakhi threads. 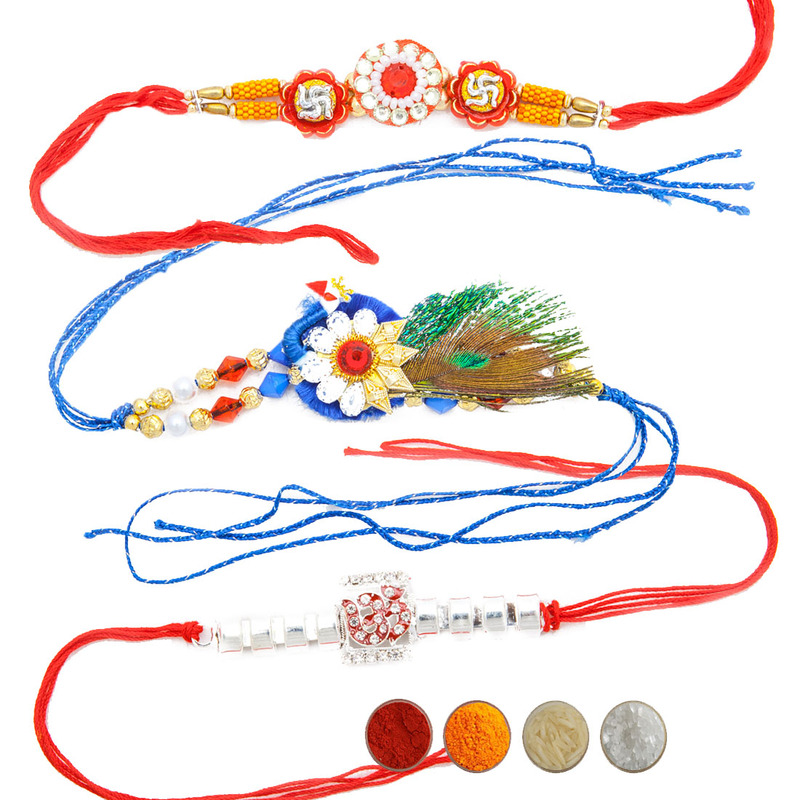 Send auspiciousness, love and wishes to your brothers with these auspicious rakhi threads. 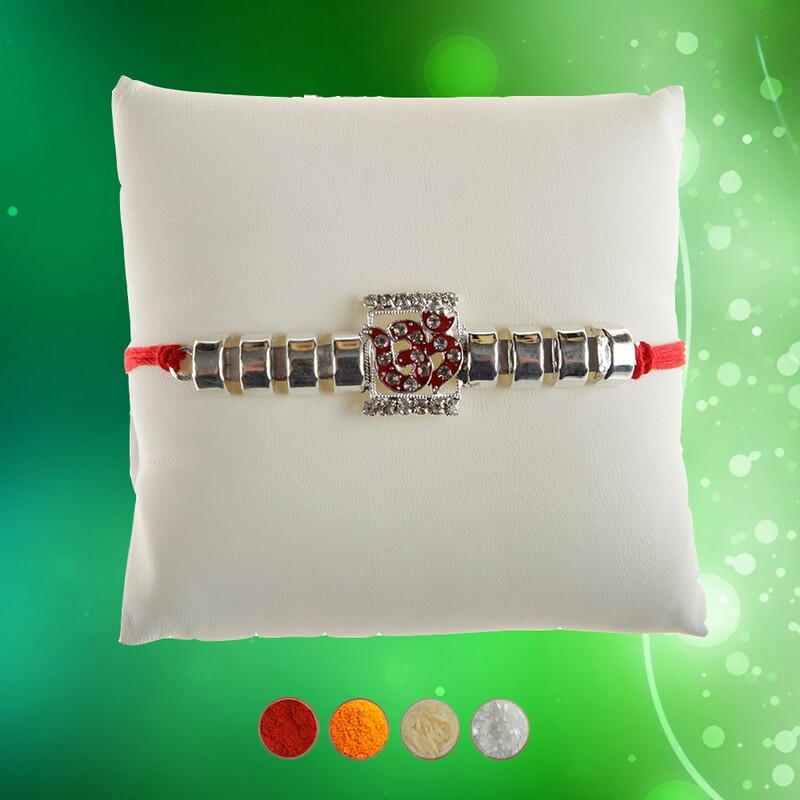 We are offering this Auspicious Rakhi Set with complimentary Roli, Chawal, Chandan and Mishri in very attractive pack.